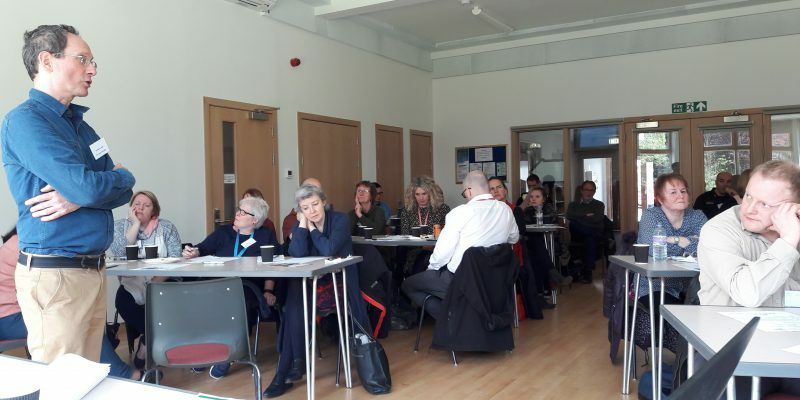 Loneliness and social isolation, funding challenges and partnership opportunities were to the fore of discussion at our workshop on mental health and social support in Helensburgh. VHS, Support in Mind Scotland and the Open University are running a collaborative programme of events on mental health and social support. Following seminars in Dundee and Glasgow we held this workshop in Helensburgh on 27th April, with welcome support from Argyll and Bute Third Sector Interface. Our 40 participants came from a wide cross section of organisations, including many from Argyll and Bute. They represented national and local charities, NHS bodies, local authorities, health and social care partnerships, Police Scotland, Scottish Fire and Rescue and universities.